Consulting is currently on a winter break! If you want to get notified when consulting becomes available again, please join my newsletter. Thank you for your interest! A brand is a collection of impressions the audience has about an organization, a product or a person. A brand is intangible: it exists in the minds of other people. Every business has a brand, whether they’re consciously doing something about it or not. A brand strategy in a greater sense is a conscious approach to creating and maintaining your brand. In a more narrow sense, it's a document outlining the key aspects of your brand, so that you, and any anyone who works in your business, can refer to it and make business decisions that are aligned with your brand. Do you feel stuck on where to take your brand next? It may be because you haven’t figured out yet what’s unique about you and your work, and how to use this insight in your branding and marketing. Brands evolve over time. Maybe you've found that your current brand is no longer serving you—your offers have changed, or your audience has changed, or you've finally realized what your true purpose is. Either way, now you're in a “chrysalis” stage where things have been shifting for a while, but there's still no clear end in sight. It's time to take a deep dive into what makes your business different, and to come up with clear next steps on how to navigate the next season of your evolution. A strong brand is cohesive, harmonious and aligned with your core values. No matter what touchpoint your clients see first, they always get a great experience that prepares them for working with you. There is no confusion about who you work with, and what kind of value you deliver—your clients know they’re your right clients from the start, and those that aren’t are aware of that too. How are we communicating these answers visually? If you’re not able to answer these questions at the moment, that means the foundations of your brand are a bit shaky, but don’t worry—after our work together, you’ll be able to answer them with clarity and ease. The Human Centered Brand Strategy consulting is designed to get you clear, confident, and ready to show what a remarkable business you have. How is my approach different from that of other brand strategists? My specialty is helping service-based business owners and independent creatives to discover brands that are rooted in their essence. Human Centered Branding is different from both corporate branding and personal branding, and fills the void that these two leave behind. Human Centered Branding is relationship-focused. Its main imperative is to help you have successful and harmonious interactions with your clients. The Human Centered Brand approach relies on the natural human magnetism that each of us possesses. This natural magnetism is already working in your favor in your personal relationships, but the Human Centered Brand framework can help you bring that into your professional relationships. Instead of hiding and shying away from the things that make us unique and potentially “weird” to the general public, we embrace this uniqueness and weirdness and use it as a leverage. This enables us to attract the attention of the people who love what we do. Your unique combination of skills, interests and personality traits becomes a point of resonance with people who appreciate those aspects. By working together, we can define these elements for your business, and build a brand strategy that is easy to maintain, attracts the best clients and team members, and helps you do business with integrity. This is not about adapting, pretending, or hiding behind a mask—it’s about being clear, unapologetic, and natural. A working business model (one or more services that people have paid for in the past). A general idea of who your current clients are (we can pinpoint the details together). The budget to invest in branding and marketing. It's best to do this work before any big marketing campaigns, so that we can ensure your marketing is effective and speaks to your right people. If you have a business model and clients but not the cash, I recommend getting my book The Human Centered Brand, which offers a self-guided method to discovering your own brand strategy. If you've read and loved The Human Centered Brand but would like a skilled brand strategist to help you implement it, you're the perfect candidate for this type of consulting. What sort of topics can we cover? This type of consultation is best for figuring out the big picture of your brand, but I can also answer specific questions regarding an upcoming marketing campaign. What are my core values, and how can I communicate them to my audience? What makes my business different from all my competitors? What are my brand voice qualities? How can I use it to my advantage? Who are my ideal clients and where do I find them? What should I include in my brand moodboard and how do I make sense of it? What colors and fonts are the most appropriate for my brand? What improvements can I make on my current website so it's better aligned with my brand? How can I make my marketing or teaching materials more unique and engaging? My aim is to provide you with exactly the knowledge you need to create the effects you want. While my blog articles are more generalized and high-level, in our consulting session we'll work specifically on your business, which has its own distinct needs. I don't believe in rehashing and recycling the same advice for everyone. You and your business are unique, and what we create together in this call will be as well. I honor your time and I won't pitch you my services. However, if you're open for collaboration, I can make a recommendation of how I could further help you. Initial consultation call (90 minutes). 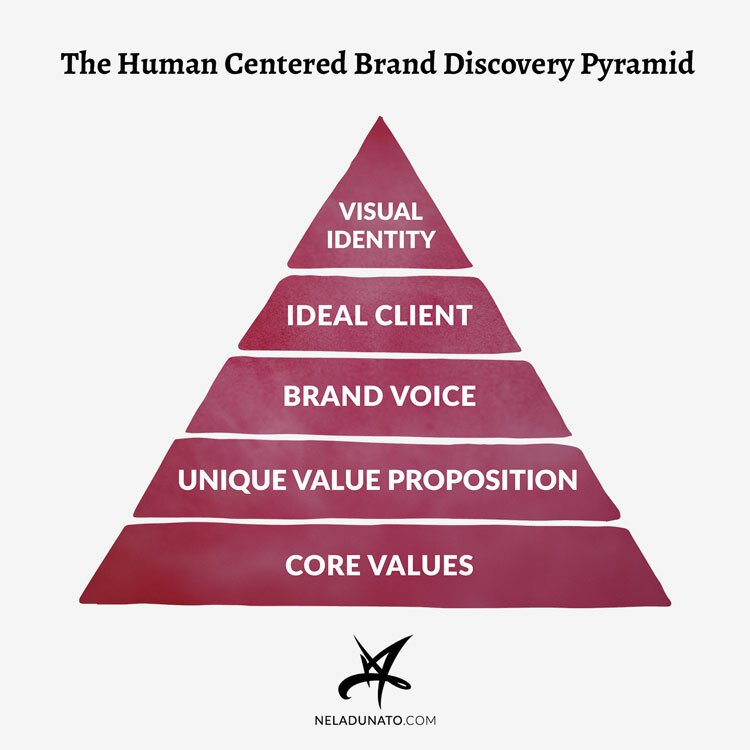 Your custom Human Centered Brand Strategy document (PDF). Follow-up consultation call (30 minutes). When you book our initial consultation call, you'll receive an information booklet that explains some key terms you may not yet be familiar with, and gives you prompts to get you warmed up for our session. We'll use Zoom to have an 90 minute video call (or audio if you prefer). You can register for a free Zoom account here. At the time of our appointment, please join the call using the link you'll receive via email. I'll be taking notes during our call, and after we wrap up, I'll create a Human Centered Brand Strategy for your business, plus follow up with an e-mail containing key insights from our conversation, and action steps you can take to put it into practice. You'll also get an audio recording of our conversation so you can listen to it again. After you've had a chance to review your Human Centered Brand Strategy, we'll meet once again. You'll be able to ask me any additional questions you might have, and we can discuss how you can apply this strategy in your future marketing activities. The price of the entire consulting engagement is $250 USD and is charged when you make your booking. Cancellations with more than 48 hours prior notice will be refunded entirely. Cancellations within 48 hours will be refunded partially, minus the $50 USD non-refundable booking fee. No-shows will be charged fully, as if the consultation has taken place, so please show up on time. If you have an emergency, please let me know as soon as you possibly can. In the event that I need to reschedule because of illness or other emergency, you'll be offered a choice between full refund, or booking the first available consulting session slot.